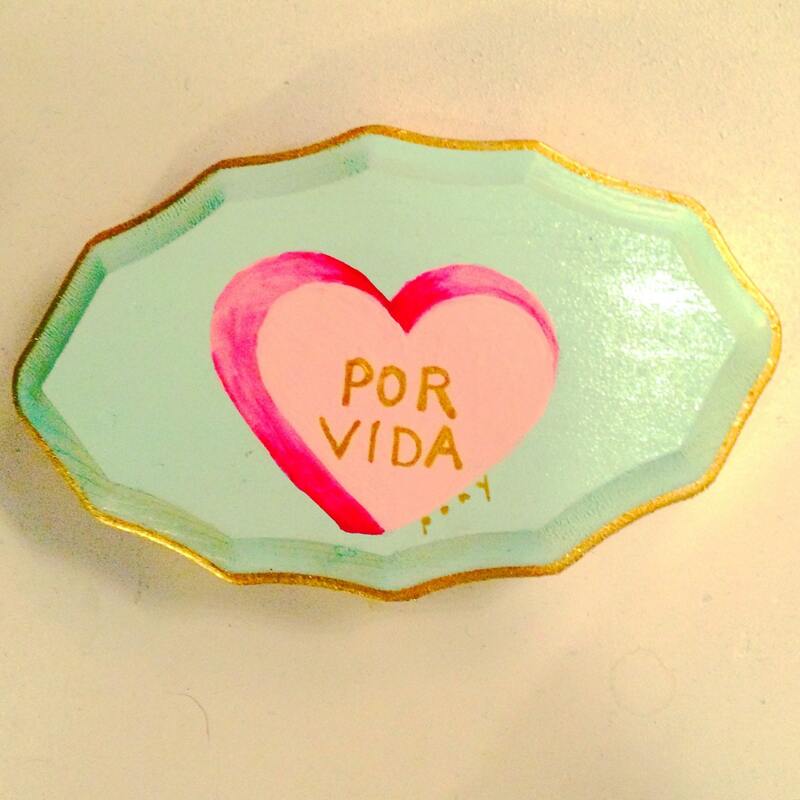 Sweet candy heart handpainted on a little wood plaque. Gold glitter edged, picture hanger mounted on back. Measures 3x5 inches.